More entries for ‘worse than we thought week’: climate change could accelerate by mid-century | Watts Up With That? From the UNIVERSITY OF NEW HAMPSHIRE and the “Aliens could also descend upon us and eat our brains by mid century” department comes this science press release with “beware” right up front. Of course, AGU17 is in session, also known as ‘worse than we thought week’ where scientists compete for headlines. Of course, the headline they use, seen below, doesn’t tell you the study only covers a tiny place; the Upper Merrimack River watershed in New Hampshire, with a focus on “backyard amenities”, whatever that is. Fig. 5. 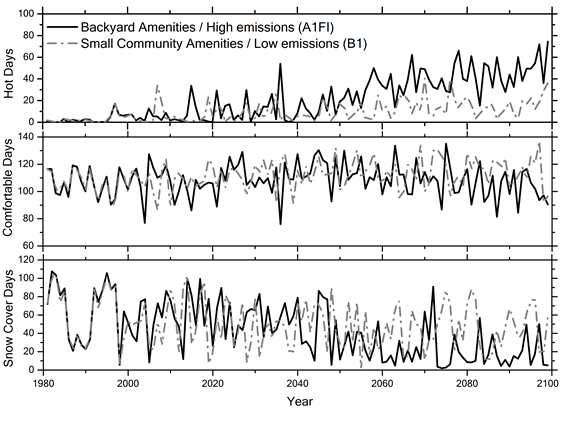 Time series of climate environmental indicators for Backyard Amenities / High Emissions and Small Community Amenities / Low Emission scenarios through 2100 for (a) Very Hot days (days per year), (b) Comfortable days (days per year), and (c) Snow Cover days (days per year). DURHAM, N.H. – Nature lovers beware, environmental models used by researchers at the University of New Hampshire are showing that the effects of climate change could be much stronger by the middle of the 21st century, and a number of ecosystem and weather conditions could consistently decline even more in the future. If carbon dioxide emissions continue at the current rate, they report that scenarios of future conditions could not only lead to a significant decrease in snow days, but also an increase in the number of summer days over 90 degrees and a drastic decline in stream habitat with 40 percent not suitable for cold water fish. December 14, 2017 in Climate News. ← Is climate change REALLY the culprit causing California’s wildfires? Wait, what? Did you just join our side? No, lol, its just getting a bit predictable. As is yours, Tony. While it has never been as bad as anticipated, it always remains worse than we thought. That’s why the rest of us are here. The alarmists have been trotting out this crap for decades. And nothing has happened. Except of course, no one predicted that the only observable manifestation of increased atmospheric CO2 would be global greening. But if the word ‘model’ is used, well that means it can’t be useful. IIRC, Dyson did predict it way back when. Did Dyson predict it would be the only manifestation, or one of many? 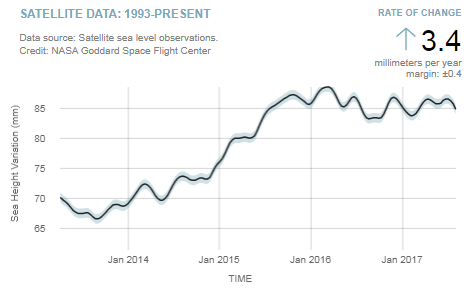 Even the over zealous satellite data for sea level rise can’t hide the recent pause – some glaciers are revealing stumps from ancient forests during their post-LIA retreat – must not be all Co2’s fault. If it’s always worse than they thought, then the original “thought” was incorrect. Why should we believe the revised “thought”? Perhaps it too is incorrect and it is in fact BETTER than they thought, no? Right. From the first sentence I got “beware, environmental models used by researchers”. Freud would have had something to say about that. If course, it ‘could’ also show by the middle of the 21st century that the opposite occurred. could, could could, so many weasel words in this one. Only some wacky science like climate science would allow an entire paper consisting of nothing but wiggle words. Well this is the year 2017, and almost gone. For next year 2018, we can be sure of one thing. It is either going to be warmer next year, or it is going to be less warm, next year or it is going to be the same as this year, and one thing we know for absolute certain, is that nobody knows which of those three scenarios will happen next year; But it will be one of them. The one thing we can be sure of in 2018 is that it will be one year past 2017. Every time I read a ‘could, should, may, or might’ in one of these predictions, my brain automatically adds “or not” to the end of the sentence. My brain is usually righter than theirs. If “… weather conditions could consistently decline even more in the future …”, does that mean that temperatures will “decline even more” in the future? Climate change had better start to accelerate by mid-century if it wants to catch up to the predictions made by the climate models. But wait, they’ll have a whole new set of “projections” from them models as they crate CMIP6 for AR6. They get to change their projections based on better science. More models with no connection to the even recent past. Yes, the growing amount of carbon dioxide in the atmosphere is certainly a worry. It is possible that we could reach a tipping point and the world becomes a fiery hellhole. It happened during the Triassic about 250mya when carbon dioxide reached 1000ppm and all mammalian life perished in the flames. There was a movie out a few years back about this. Called “Inconvenient Post-truth” or some such. Actual evolution where species either adapt or die because of Climate Change and the growing population of humans must be stopped… Because of our tiny fraction of Carbon Dioxide added to that of nature’s massive increase of CO2 will cause it to happen years sooner and humans are bad for the environment. And to think that all this alarmist rhetoric started by mistaking correlation with causation when the Vostok ice cores were first examined. Why is it that the alarmists can’t admit their many mistakes? Had they admitted to this one early on, the IPCC would never have gotten off the ground. A misapprehension you have perhaps is that causation can only work in one direction. You genuinely believe effect can precede cause? There is no empirical proof that CO2 causes warming in a convective atmosphere. It should be noted that in the Vostok coes, no period of peak CO2 was it able to even maintain the peak temperature that caused that CO2 increase. So no, NOT a misapprehension. TM, in the real world some of us inhabit cause must precede effect with a gap minimally dictated by the speed of light. There is no two way reverse as you assert unless you pervert the definitions of cause and effect. Very poor posture in that comment. Essay Cause and Effect serves up a heaping dose of ridicule on various efforts by your side to claim otherwise, all specific to Gore’s ice core goof. If you didn’t have a closed mind, you could learn a few things about your sides junk climate science by reading it. Lots of illustrations and footnotes. Nothing too technical. Yea, the so called ‘mutual feedback’ effect. Certainly both can affect each other, but all that matters in the end is the net effect that arises from which effect is bigger. Besides, the effect CO2 has on the temperature is almost immediate relative to the sample periods in the ice cores and relatively small. The only effects with enough delay to be perceptible in the ice cores are those from biology. The measured delay is about the time it takes to establish a forest as new land becomes available or the time it takes for sustained, gradual cooling to kill off a forest. The CO2 levels in the ice cores are really just a proxy for the size and robustness of the Earth’s biosphere. In fact, even the elevated CO2 levels arising from mankind’s emissions are a signal to anyone watching that Earthlings are harnessing energy to improve the robustness of it’s biosphere and mankind is the most important contributor to the evolutionary advancement of our biosphere. It’s a disservice to mankind that ideologues are taking something that is exceptionally good for mankind and out biosphere and demonizing it for political purposes. Well nothing really “causes” something else. That implies some sort of intelligent intent. It’s just that things do not happen, because it is impossible (at the time) for them to happen. The conditions under which it could happen are not present, so it doesn’t happen. When the necessary conditions are present, it will happen, and it will happen immediately as soon as it becomes possible. So nothing made it happen (caused it); it’s just that before it happened it was impossible for it to happen so it did not happen. And if something (anything) happens, that implies that the conditions have now changed. If they have NOT changed, then of course NOTHING has happened. That’s the definition of something happening. The present conditions change. Then whatever it is that is now possible under those new changed conditions, will happen; immediately. That’s all there is to it. There is no cause and effect. Sorry Graemethecat and ristvan, that was little vague. No I don’t believe effects can precede their causes. That is not what I meant. co2isnotevil understood it. “Certainly both can affect each other,”…Unfortunately he then does a bit of arm-waving in an attempt to dimish its importance. It really isn’t contraversial. CO2 have been tightly correlated for a million years. Lets hope that was an anomaly. george e. smith, do prefer arrow of time? There is absolutely no empirical evidence to back up that statement. And yes, do stop waving your arms about.. !!! Tony….think “limiting”..and how it applies to what you just said. This is exactly what you would expect..because it’s exactly what happens.. when CO2 becomes limiting. I would tend to disagree and that there’s definitely cause and effect within the climate system. The cause is the solar energy arriving from the Sun and the effect is the causal response of the planet to that incoming solar energy. Even CO2 can be construed to cause something and what it causes is biomass, although biomass returns the favor and causes CO2. Which came first? Obviously, the CO2. Regarding the relationship between CO2 and temperature, which came first? Obviously the temperature. To me anyway, the direction of NET causality is dictated by which came first. The underlying issue seems to have been that the magnitude of the longer term causative relationship between temperature and CO2 was inferred to be on an equal footing with the much lesser and shorter term causative relationship between CO2 and temperature. While there’s both theoretical and empirical evidence that the forward effect of CO2 on the surface temperature is finite, there’s absolutely no empirical evidence or any theoretical foundation for an effect within or above the range presumed by the IPCC. This means that whatever this influence is, it’s well below the threshold considered large enough to justify the formation of the IPCC; catastrophe averted! I presume from that statement you mean that CO2 and rising global temperatures are closely correlated. Where, other than by coincidence, does CO2 correlate to the temperature of the planet, in the planets history? All of which can be explained as temperature variation causing CO2 variation. We all know that the equation for CO2 ECS suggests that the largest affect CO2 should have per unit change in concentration is when CO2 is at its lowest concentration and that that is about the lowest it ever has been during prior ice ages thus making ice core data about the best thing we have for examining for a cause-affect correlation. But we also all know that the equation refers to equilibrium – not a lock step one to one correlation. Changing ERB by any means does not instantly change temperature, it creates a change in temperature trend. And when you look at the ice core data there is exactly zero indication that CO2 is affecting temperature trend at all. Show me one spot in time in the ice data where a given CO2 concentration correlates to a given increasing temperature trend and I’ll show you another spot in time where that same concentration correlates to a decreasing temperature trend. That single truth, all by itself, eradicates, decimates and nullifies any and all supposition that ice core data displays any evidence that CO2 concentration is affecting ERB enough to be significant in that data. CO2 most certainly did affect ERB then as it does now but, contrary to the alarmist position, it is just way too small to make a measurable difference. That schematic graph does not take account of changes in solar luminosity (TSI). “There is a strong CO2-temperature coupling for much of the Phanerozoic. There is a threshold for nucleating ice sheets at the equivalent radiative forcing of ~500 ppmv (ADJUSTED FOR CHANGING LUMINOSITY THROUGH TIME). Above this CO2 threshold, large continental ice sheets are typically absent. Illustrating this paper (Royer 2004) ……. (Step 1) — Focus exclusively on 0.06% of Earth’s atmospheric mass. (Step 2) — Focus exclusively on a tiny portion of Earth’s geological existence that coincides primarily with human existence. (Step 3) — Focus exclusively on a correlation between CO2 and temperature during this tiny portion of Earth’s geological existence. (Step 4) — Attribute the correlation in this tiny portion of Earth’s geological existence to coincidental human existence during this tiny portion of Earth’s geological existence. (Step 5) — Declare the correlation during this tiny portion of Earth’s geological existence coincidental with human existence a CAUSAL relationship. (Step 6) — Declare a TINY coincidental production of CO2 by humans during this tiny portion of Earth’s geological existence as a MAJOR consideration in this correlational/causal relationship. (Step 7) — Project major catastrophe on the basis of this attribution to human existence. (Step 8) — Spend huge amounts of money and resources focusing exclusively on 0.06% of Earth’s atmospheric mass, in an effort to make a tiny coincidental production of CO2 by humans during a tiny portion of Earth’s geological existence even TINIER. (Step 9) — Create obligations for ALL humans on Earth to participate in this making of tiny even tinier, based on exclusive focus on the 0.06% during tiny Earth-geological-existence. (Step 10) — Condemn all humans who do not agree and who do not participate in this global “obligation”. He bases this in part on his GISP record…which, when used by skeptics is invalid…but when used as confirmation of his pet theory, is functional. In the face of such blatant bias, it’s difficult to approach his work with a truly dispassionate and open mind. Richard Alley was lying when he said ““We’ve looked at everything else, and the only thing it could be is CO2.” They looked at practically nothing other than CO2. They haven’t even scratched the surface when it comes to understanding how climate changes naturally. That is why the whole CAGW movement is a farce. For that same “logic”, it’s “obvious” to many democrats that “Russians” is the only possible way Trump could have won the election. We are seeing the transformation of political party turning into a cult. How about you stop spamming me. Mid-century. About 30 years from now. How accurate have the models made 30 years past proven to be? Some remember what they shouted through the megaphones 30 years ago. They’re loosing their grip on the megaphone. To accelerate, don’t you have to be out of neutral ?? No I do it all the time going down hill. Ah, that was their first mistake. Playstation “science”. LOL…I love that “PlayStation science” thanks for the laugh. The US military bought around 200 Playstation 2s at one point and (re)wired them together to make a supercomputer, at a fraction of the cost of a normal one. X-Box is better. Peter Humbug uses X-Box for his simulations. Shouldn’t ‘worse that we thought week’ be ‘worse than we thought week’ ? This is good stuff. The more nutty predictions there are, the more there will be ridicule in the future. As if there was not already an abundance today. 40% loss of trout stream habitat in just over 30 years. Ok, then there should some trout habitat loss in 10 years. Get todays upper Merrimack watershed trout stream map (like the one I for the uplands of SW Wisconsin (lower Wisconsin River watershed) put out by DNR. Then get the one for 2027. Compare. Ditto for snow reports from the basin’s ski resorts. These nutters do not realize how easy to refute their stuff will be. Oh…if only being wrong had anything to do with one’s status as a liberal, activist, scientist. It seems to have no impact whatsoever. one f*** model more and one very bad scifi novelette more…. Beautiful graphs. Why were error bars omitted? You want to clutter those pretty, elegant graphs with messy error bars?! You cant see the error bars for the same reason you can’t see New York while standing in Times Square. It’s just too big! Last winter we had 81.5″, significantly above average. One thing I’ve learned is that it takes lots and lots and lots of snow data to say anything about winter trends. Well, not bad. The green items are the maxima, the red are the minima that are above zero, and the yellow are the #2 values. See how extreme those two seasons I mentioned were? That is why its called weather. Alleys problems with truth are large. In both of the GISP ice cores, because of the closure of firn, his ice core record ends before the IPCC version of AGW begins. OOPS. Sorry formthe misthreAd was intended to be a reply to ripshin on Alley upthread. 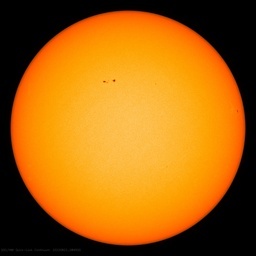 The reality is that according to the paleoclimate record and the work done with models, the climate change we have been experiencing is caused by the sun and the oceans over which mankind has no control. Despite the hype, there is on real evidence that CO2 has any effect on climate and plenty of sceintific rational to support the idea that the climate sensivity of CO2 is zero. The AGW conjecture depends upon the existance of a radiant greenhouse effect caused by trace gases in the Earth’s atmosphere with LWIR absorption bands. Such a radiant greenhouse effect has not been observed anywhere in the solar system including the Earth. The radiant greenhouse effect is science fiction, hence the AGW conjeture is science fiction. This study is nothing more than sceince fiction. “there is NO real evidence that CO2 has any effect on climate and plenty of scientific rational to support the idea that the climate sensitivity of CO2 is zero. but I have noticed before that you often seem to type “sensivity” when you mean “sensitivity”. I agree with you that my typing and spelling are less than perfect as I am. Some days I am more less than perfect than on others. I currently do not have a good working spell checker to help me on these comments. That is a problem that is solvable. Maybe for researchers that like to make very long term predictions that are aimed at policy actions, 20% of their salary should be withheld and given back to them or their families with a bonus, if their predictions come true. They are really getting desperate now. We just had a slightly unusual ~ 4 days with snow on the ground here in Central England, and I can tell you, most were pretty fed up with it after about 24 hours. The novelty wears thin very quickly. People only want a white Christmas when it is soft and fluffy and you don’t have to go anywhere or do anything. Slightly Off Topic… or is it? Probe centered on controversial paper that claimed microplastic pollution harms fish. “After other researchers raised questions about data availability and details of the experiments, Uppsala conducted an initial investigation and found no evidence of misconduct. It will accelerate. The cooling will be unmistakable by then. Yep, A cooling trend is looking more and more likely, starting within a few months even. I wish it didn’t have to be, but a protracted cooling trend might be the only way to put and end to the manic CO2-hatred from the climate alarmists. We just have to make sure we don’t allow them to turn it around to say CO2 causes cooling !! There have already been several attempts. an easy spin, we have just staved off a warming spike but extreme weather caused by “carbon” has plunged us into cooling, this is just cycle and the warming trend will be back by 2075! urgent action is needed now!! Look at the headline. It is the “climate change” which will accelerate, sending temperatures soaring to 120F and falling to -30F within hours, minutes even! Weather will have become a moot concept. Whatta world! The models use the perception CO2 has an effect on climate. It doesn’t. Proof that CO2 has no significant effect on climate has been hiding in plain sight. The ‘notch’ is centered on CO2 at wavenumber 667 in TOA graphics such as Fig 1 in my blog/analysis. Fig 1 was copied from http://www.giss.nasa.gov/research/briefs/schmidt_05/curve_s.gif. The energy entering the atmosphere from the surface matches very closely the Planck spectrum for the temperature of the surface and emissivity about 0.99. For the range wavenumbers ~ 600-750 cm^-1 the power (energy rate) is about 0.42 W / m^2 / cm^-1 * 150 cm^-1 = 60 W/m^2. The power leaving at the notch is about 0.2 W /m^2 / cm^-1 * 150 cm^-1 = 30 W/m^2. The 60 – 30 = 30 W/m^2 that is not emitted at the wavenumber range 600-750 has to be emitted at other wavenumbers. The power which is emitted in the wavenumber range 600-750 could be from both CO2 and water vapor as a result of what I have been calling reverse-thermalization occurring at higher altitudes (above 10 km or so). Why is it always worse than we thought? That would be a change, most people are sick and tired of the ones that come to do those weird probes that certain types have claimed happened. So, why are the pessimists in charge? To be in charge, you need to believe something needs to be fixed, and that you can fix it. Optimist don’t think it need to be fixed, or they believe it will fix itself without them having to act. I’d like to see one of theses alarmist sites predict that climate change/global warming “could” be much less than they predicted by mid-century. That would be a new all-time first in the doom&gloom category. Incredible isnt it that the catastrophe is always just over the time horizon and the solution is always more research/money. What about all the previous studies that said variously that the ocean would be frozen, boiling and 8ft over 5th Avenue? The more the research grants are threatened, the greater the doomsday predictions. In any case, their use of a mythical threat to snow is classic emotionalism. We New Englanders as children love snow, and many maintain that love of snow into adulthood, although it can become somewhat love-hate after the fourth or fifth snowstorm. What is meant by “climate change could accelerate”? Does it mean more frequent oscillation or greater movement in one direction (presumably warming)? Right, yet you don’t have a clue why it hasn’t already so you don’t know if it will in future. Why after nearly 150 years will it accelerate when for 120 years there has been no change? CO2 is not a magical gas that suddenly effects things many decades later. Increasing CO2 has been going on for too long now to not show all its effect it will ever have. The basic science that suggests the more CO2 the less effect it has, seems to be ignored when for the agenda science doesn’t matter. Where is the mechanism and scientific evidence for this? The AMO will likely become negative for a few decades before then, causing Arctic sea ice to increase and global temperatures to fall.